Everything you need to build your own clean boost! 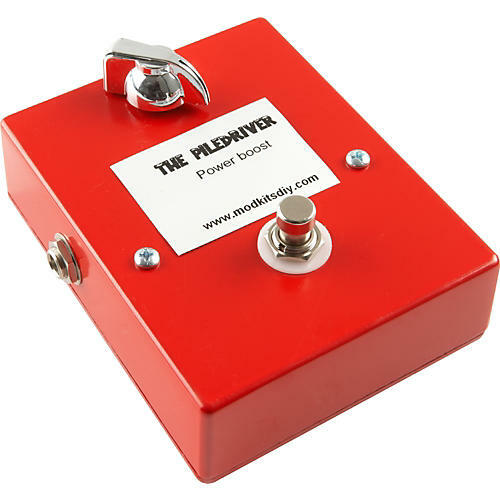 The PileDriver is a clean boost effects pedal kit that will provide up to 38dB of gain to your guitar signal. Use it to push your preamp into overdrive or as a line driver if you are experiencing signal degradation from your effects chain. This is a simple kit and great for beginners!